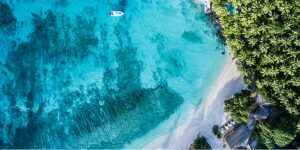 It’s a long stretch between summer and Christmas; luckily for those with an irrepressible urge to travel, there’s a convenient mid-term holiday at the end of October. 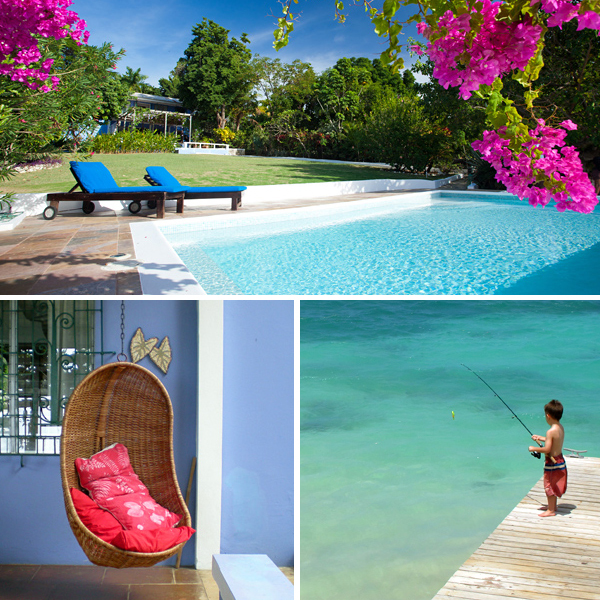 Here we’ve suggested 10 dreamy destinations which are perfect for families. One of England’s glories, the Dales are brilliant for families, with underground caves, waterfalls, botanical gardens, steam railways and castles galore! If glamping floats your boat, back-to-nature Swinton Bivouac, set on a 20,000-acre estate, is perfect. 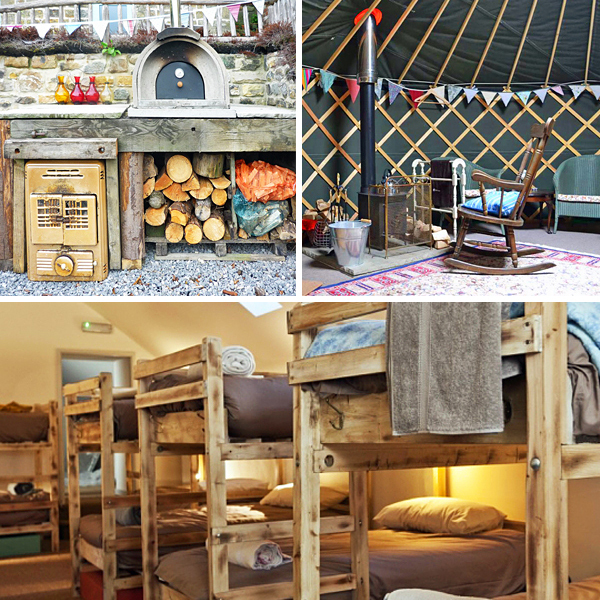 Stay in cute yurts or rustic woodland shacks, let the kids safely run wild, meander along nature trails, and hire mountain bikes to explore further afield. ACTIVITY: Over Halloween, spooky craft workshops are on offer, as well as a fancy-dress ghost walk followed by a 2-course meal in the cafe, which has a play area and dolls’ house. Some of the Med’s most gin-clear waters are to be found off the beautiful coves and beaches around Bodrum. The sea is still warm enough for swimming in late October, and there are boat trips on traditional gulets to be had, plus unspoiled fishing villages and ancient ruins to discover. 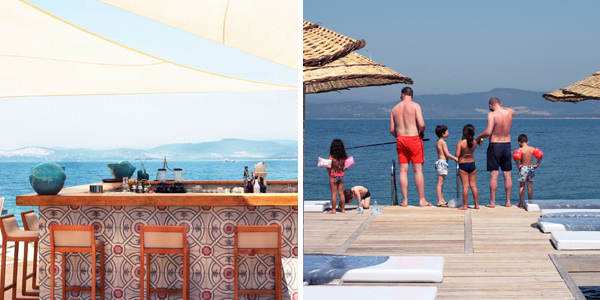 Only 20 minutes from the airport is Med-Inn, a relaxed beach hotel with its own jetty, lovely gardens, spacious suites, a pool, a restaurant with a kids’ menu, and wonderful views. Sun + sand + sea + space to play = the ideal family holiday. Cascading down both banks of the Douro river, Portugal’s second city is delightful, UNESCO-listed and very walkable. Take boat trips under its soaring bridges, hop on the tram to Atlantic beaches, and visit the Oceanarium. 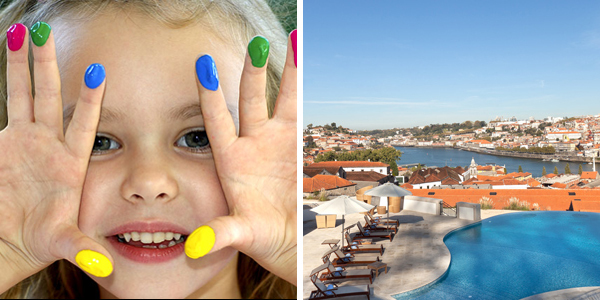 Perched on a hillside with great views across to the historical Old Town, spa hotel The Yeatman has a range of rooms and suites which can take families (our kids were tickled by the bed in a wine barrel!). 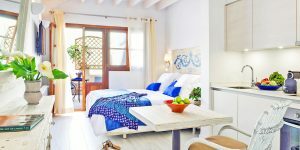 It also offers babysitting so parents can dine à deux in its excellent restaurant, plus a well-stocked kids’ club room and indoor and outdoor swimming pools. Fly into Montego Bay and head south from Negril for stunning coastal scenery, sublime sunsets and laid-back charm. Families will love watersports, boat trips, wildlife spotting, sandy beaches, waterfalls and zip-lining, or simply chilling out to the reggae beat. All of the above is easily accomplished at dreamy Culloden Cove, a fabulous staffed villa for up to 12 (including a garden annexe). It has a superb infinity pool, a private beach, a gazebo, hammocks, a box of toys and garden games, and snorkels and kayaks to borrow. The largest of the Greek islands, Crete has a strong identity and a fascinating history, and is very popular in summer. Better then to visit in the cooler, less-busy shoulder season. Kids will relish exploring ancient ruins, learning about the Minotaur and bouncing around the beaches. Head inland from Heraklion for traditional villages, an authentic way of life and awesome mountains. Prices are very reasonable, too! 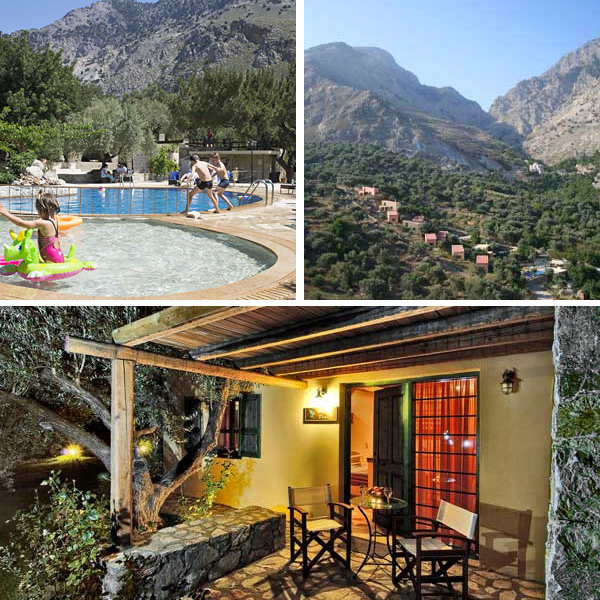 We rate Eleonas, an unpretentious agriturismo, for its warm welcome, self-catering stone cottages, playground, football pitch and kids’ pool. Laid-back and charming Poitou-Charente, between Bordeaux and the Dordogne, is the second sunniest region in France yet is comparatively under-visited. There are canals and rivers to kayak, gentle rolling hills to walk and cycle, and historical towns to potter around. For an extended family party, immerse yourselves in serious style at Chateau de la Duchesse, which has enormous bedrooms, stunning reception rooms, huge grounds, a cinema room, a Baby Grand piano, a games room and a music room – ideal for tweens and teens. There’s a fenced pool, a football pitch and a pool table, too. Few European cities can beat the history, excitement and waterfront setting of on-trend Istanbul. With good public transport, great sightseeing (don’t miss the fabled Topkapi Palace), excellent shopping (check out the Grand Bazaar) and quirky cafes, families in search of a satisfying break need look no further. A boat trip up the Bosphorus is a must. 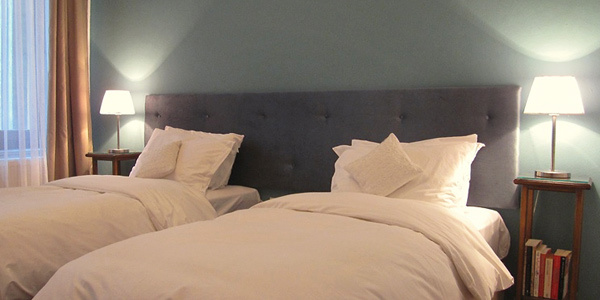 Live like a local in one of the great-value, contemporary-style Istanbul Place Apartments, dotted around hip and eclectic Galata. Some are close to Galata Tower, others have fab views over the Golden Horn. From all, it’s a short tram ride to the Blue Mosque and Hagia Sophia. 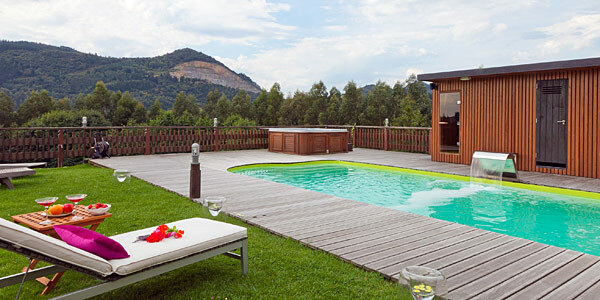 Friendly, with beautiful beaches, rugged cliffs, lush forested mountains, delightful country towns and authentic fishing villages, the Basque Country is also one of Europe’s great gastronomic destinations – expect to feast aplenty from San Sebastian to Bilbao and beyond! We reckon the self-catering boltholes at Ea Astei are the perfect haven for families: close to sandy beaches, between the 2 major cities (the airport is only 40 minutes away), and with a heated pool plus a big garden with hammocks and rabbits. And you get the loveliest owners, who are a mine of local knowledge. This is Britain’s only coastal national park, and it’s a magnet for families. Look forward to golden beaches, atmospheric castles, traditional seaside towns, and boat trips to spot dolphins and seals. The views are utterly awesome, too. 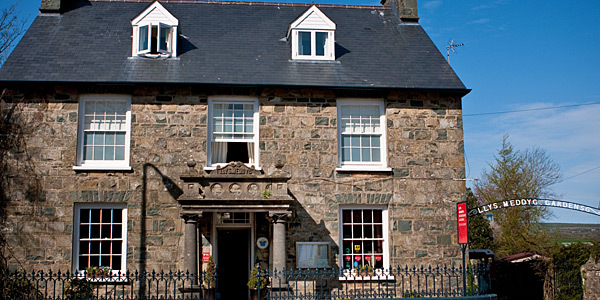 Stay within the park at Llys Meddyg, a gastro restaurant with 3 family rooms, an enclosed garden and a special kids’ menu. Head forth for crabbing, birding, kayaking and horse riding, or walk part of the famous coastal path, which starts around the corner.